Posted by The PerfectHouse Team on Saturday, June 14th, 2014 at 3:42pm. 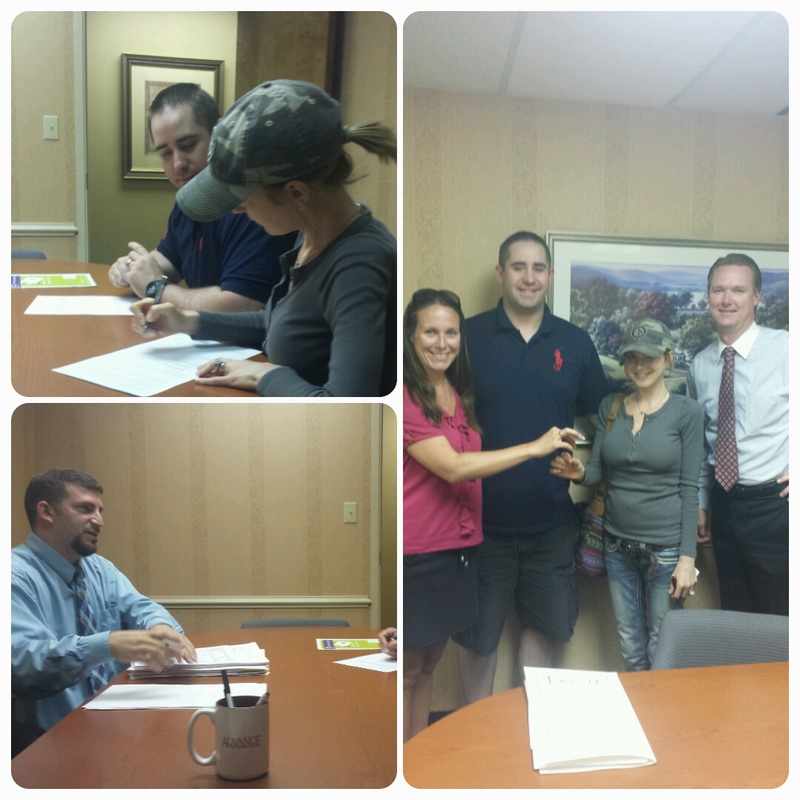 We want to congratulate Jay and Mallory on their home purchase! Our agent Angee Kent was there every step of the way including the closing with Advance Title and Abstract. There are many reasons why we do what we do - but this moment when we help families find their PerfectHouse is the best one. When you're ready to find your PerfectHouse call us at 757-335-6111 and we can get you on the path to your new home.